How Can I Bring my Fiance to the United States? Who is Eligiable to Make a Fiance Petition? The individual applying for their immigrant fiancé must be a United States Citizen. The petitioner and the fiancé must intend to marry with in 90 days of the alien fiancés arrival in the United States. There are no impediments on both individuals ability to marry. This would violate the foreign fiancés strict and established customs or Foreign culture/ social practice. The individual applying for their Fiance can prove that an extreme hardship would be met by this requirement. What Process Do I Have to Take to Bring my Fiance to the United States? 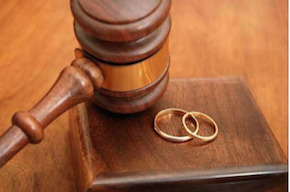 A United States citizen may bring their fiancé to the United States in order for them to marry as well as to reside. This is done with a K-1 Visa and the filing of a I-129F petition. K-1 visas permit the foreign fiancé to travel to the U.S and marry their sponsor within a 90-day period of their arrival. After this is done the foreign citizen may apply for an adjustment of status with USCIS. Also, note that children of a K-1 visa applicant may be eligible for a K-2 visa.